Surge impedance is reduced by more than 50%. 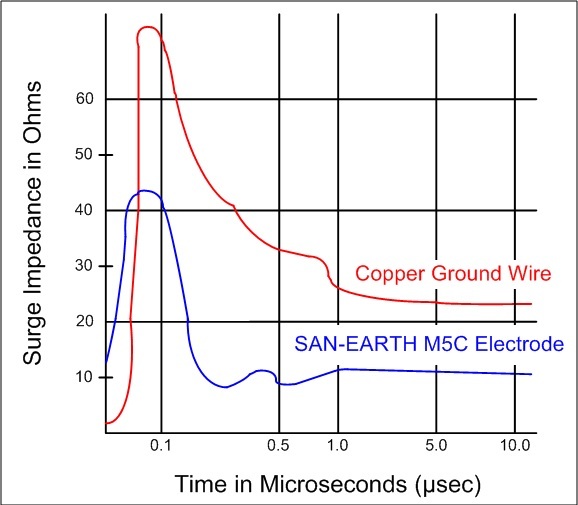 The surge impedance of the SAN-EARTH electrode was particularly low during the first critical 0-0.1 �sec of the surge. Fast response provides enhanced protection for sensitive equipment. Significant advantage over other grounding methods.